An event is only as strong as its volunteers. Please sign up today and help us to make this year's Canadian National Fly Fishing Championship and event to remember! 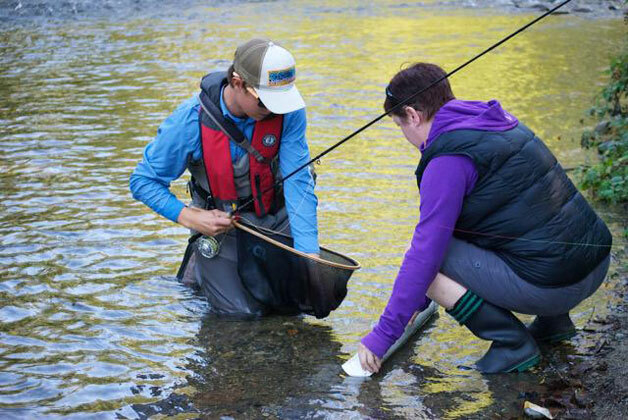 Volunteers are being sought for the 2016 Canadian National Fly Fishing Championships, which is taking place in Princeton, British Columbia October 4-7, 2016. Volunteers will be required for the 3 days of the actual competition sessions on the Similkameen River, which are October 5, 6, and 7, 2016. Please consider volunteering a bit of your time today, and enjoy the opportunity to observe and learn from some of Canada's finest competitive fly fishers and members of our National Fly Fishing Teams in action. Currently, our greatest need is finding volunteers to serve as judges (A.K.A. Controllers) on the Similkameen River beats, which are situated downstream of the town of Princeton. No previous experience is necessary, as this is a fairly simple duty and training will be provided. Controllers will be responsible for recording any fish caught on their assigned competitor's scorecard. Controllers are not required to handle fish or enter the water, and may sit in the comfort of a lawn-chair while monitoring their assigned competitor. Competitors will net their fish and hold them up briefly, so the controller can visually verify and record their catch on their scorecard. All fish must be handled with the utmost of respect and released in good health and unharmed. This is an excellent opportunity to learn some new techniques while observing the fly patterns, techniques, and tactics that are employed by some of Canada's best and highly-skilled fly fishers. Please help us to make this event a great success and an event to remember! Please contact Todd Oishi for more information or to volunteer: toishis@gmail.com or visit our official website.